The Economy: Is It Really Getting Better? People are optimistic, The Dow remains above 10,000, inflation fears seem over-estimated, and the financial crisis seems isolated in places like Greece, California, and random long-expected lay-offs. I just met with a manufacturer of fashion apparel and she was telling us how many designers who were previously afraid to launch their collections are now coming out of the woodwork with some very risky and ultra-modern designs. So we have throngs of risk-taking designers in the already cut-throat industry of fashion design. IS the economy picking up? Sometimes in science, and in economic models we can often assume what something is by what it’s missing. In this case: Fear. Is there caution? Absolutely. But the open-eyed cold-faced pessimism we saw in March of last year seems to have gone into a long winter hibernation. This is the problem. Fashion designers, manufacturers and central bankers are all sharing the same sense of false security. The VIX (which tracks market volatility, otherwise known as the “Fear Index”) is touching all-time lows. This means people are discounting any chance of risk in the market. Gold and Silver are slowly and quietly creeping up towards their all-time highs, a sign that financial security is again coming under question. Commercial Real Estate, Rising Unemployment, Too Low Interest Rates, Government Irresponsibility, and High Stock Valuations are all playing a major role in the potential for another crisis. Here are some insights from top banking insider and billionaire, Andy Beal: http://bit.ly/ahi5s4. When was the last time you prepared for any worst case scenario? 1) Stop Spending! Buy used, buy less, buy what you need. This is a timeless and necessary action if you ever want to be happy financially. A used book on Amazon is rarely any different than a new one… but its far cheaper. 2) Get out of debt! There’s no good reason to spend 101% of your income(s). Start paying cash, pay off far more than your minimums, and stop paying someone else 15-30% for everything you buy. 3) Make More! Don’t just mope and cry about how you now have money in the bank, but feel broke. Get out there and challenge yourself! Make some more sales calls, do things to get promoted, start your own business (YES in a recession). If you want to have anything significant in life, you’ve got to go get it. Be proactive and MAKE it happen! No matter what happens, you will always be you, and there will be good times, and not so good times. Your job is to ensure that you and your family are protected and comfortable, both financially and emotionally, no matter what life brings! The reason why investors own precious metals, is to insure themselves from a debasement of currency at a greater rate than available market returns. Few people actually own precious metals physically, and those who do often do for the wrong reasons. Gold is not a reliable vehicle for appreciation, yet it is an outstanding store of value. The sensible capitalist does not “invest” in gold. He merely safeguards his wealth in the form of non-financed physical-assets in times when currency competency comes into question, and waits until either the inflation subsides or an opportunity of adequate returns to be restored. As one hedge fund manager recently put it: “All investments have their day, and right now gold is having its day”. For all those who aren’t familiar with Talmudic-style dissection, Get ready! Some people are natural cynics and approach everything with a good dose of skepticism. (These people often spend years owning nothing but AAA-bonds and Market Funds). Others are opportunists and approach everything with a gullible zeal. (These people are often looking for the next Microsoft). We see ourselves as mere realists, in an attempt to approach everything with a logical and objective frame of mind. I am referring to a recent article by famed Dilbert cartoonist, Scott Adams. I enjoy his posts very much and I hope this article will clarify his perplexities regarding precious metals investment. 1. “People aren’t good at predicting the future, no matter how obvious the future path seems”. It is for precisely this reason, that when things do change, (such as the turn of the English Empire), so few expect it and are prepared. Ask people interested in precious metals, exactly how many ounces of physical metal they own. You’ll notice how few people truly stand behind the words they’ve spoken. As a matter of fact, just glancing through the comments on Adams’ blog, it seems that most of the forum comes across as hypothetical folks who either own too little of a position, or are influenced by invalid reasoning. 2. “Warren Buffett isn’t putting all of his money in gold”. I will get to the reason behind this in a moment, but it must be understood that Mr. Buffett is a “Common Stock Man”. That’s what fascinates him, that’s what engages him, that’s what he does best. So why should he invest in gold when he has found far greater returns in an under-valued marketplace? 3. “My failure to imagine how the debt can be contained might be just that: a failure of my imagination”. When it comes to debt there is far too many variables to consider (i.e. Chinese Bond-ownership, Dollar Replacement, Federal Bankruptcy, Currency Revaluation, The Gold Standard). In other words, the ownership of gold stands not as an investment with the intention of appreciation, but as an clever insurance policy against a catastrophic hyper-inflation or currency debasement. “The standard policy of people all over the world who mistrust their currency is to buy and hold gold… the holder of gold has received no income return on his capital”. “There is no certainty that a stock component will insure adequately against such inflation” [emphasis ours]. 1) Graham informs us that the hoarding of gold was an age old practice. This made total sense as in fore-times bank panics, currency debasement and depressions occurred just about once a decade. 2) He cites the years between 1935-71 as “proof” that gold has been a lousy and inadequate investment class. However, between the years of 1969 and 1981, gold appreciated phenomenally, outperforming each and every other asset class by a wide margin. Had Graham witnessed this spectacle there is strong reason to believe that he would have reconsidered his position, and may have made room for precious metals in a conservative portfolio. “Be sure it’s yours before you go into it”. What Graham is telling us here, is that any asset is a bad investment if done for speculative reason, or with improper judgement. 4) In his closing remark, Graham even warns that even while common stocks offer great opportunity, they may nevertheless fail to overcome the challenges of inflation, or currency debasement. Much! Too much actually. As a matter of fact, from an economic standpoint America is no longer similar to the America Graham was familiar with. For one, America has lost its status as the world’s largest manufacturer of goods, and has gained a frightening lead in terms of consumptions and spending. (For those familiar with European history, this is how 16th Century Spain lost its position as the world leader in trade and commerce). The world of currencies have also changed drastically. While I will not delve into the fascinating history of barter, trade and the properties of monetary exchange here, one enormous variable differentiates the Pre-1974 and the Common Eras. In ancient times, every single transaction took place with an element of exchange in mind. Whether it was sea shells, or cattle, or wooden sticks, the value of any transaction or credit was accurately measured in terms of a monetary exchange unit. With the agreement to terminate convertability from gold to Dollars in 1974, this all changed. 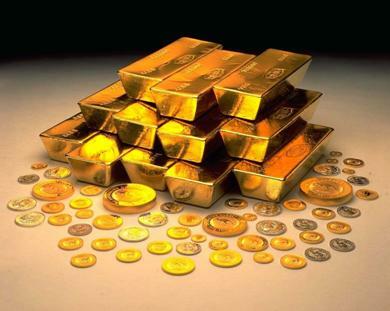 No longer would the U.S. Dollar, the “ineffable” reserve currency of the world, be exchangeable for the gold metal. Thus began, the current era of a universally-accpeted fiat (non-commodity based) currency. No longer would each transaction be measurable in accurate terms. And no longer would any Government, foreign or domestic, be compelled and obligated to abide to the regulations of supply and demand. So long as We The People would accept and stand loyal behind the mere faith and credit of the United States Government, so long would our ever-glorified Dollar endure. In the 4th century BC, Aristotle defined 5 reasons why gold is money, and they are just as valid today as they were then. A good form of money must be: consistent, convenient, durable, divisible, and have value in and of itself. Durable. That’s pretty obvious – you can’t have your money disintegrating in your pockets or bank vaults. That’s why we don’t use wheat for money; it can rot, be eaten by insects, and so on. It doesn’t last. A 6th reason that Aristotle may have overlooked since it wasn’t relevant in his age, and nobody would have thought of it: It can’t be created out of thin air! This is not a gold bug religion, nor a barbaric superstition. It’s simply common sense. Gold is particularly good for use as money, just as aluminum is particularly good for making aircraft, steel is good for the structures of buildings, uranium is good for fueling nuclear power plants, and paper is good for making books. Not money. If you try to make airplanes out of lead, or money out of paper, you’re in for a crash. Buffett It should be noted, that Buffett did make a significant investment into Silver (not gold) in the late 90s, one that has come under sharp scrutiny in recent years, as few are knowledgeable of exactly what led Buffett to purchase over 100 million ounces of physical silver on the open market, and moreover what ever happened to the holding. Those who know him, have even mentioned his fascination with silver over the decades. All in all, we cannot say that Buffett “only” invested in common securities. We may also add, that the majority of Buffett’s tenure as the “world’s greatest investor” coincided with an era that was quintessential for the class of Common Stocks. The 50s, 60s, 80, and 90s, were all part of a two-part secular bull-market that captivated the attention of Wall Street and Main Street, concluding in the most absurd valuations for up-and-coming Tech start-ups that had neither money nor model. However, one may realize that Buffett’s years of 50-100% returns are far behind him. With over $100 Billion under his management, investment opportunities are slim as: a) Stocks have become a staple of investment and speculation, thus raising valuations to their highest in modern history, and b) The potential for significant returns diminish greatly as the ability for a multi-national corporation to grow is minimal, if not non-existent. This is known in economic circles as The Law of Diminishing Returns. All in all, it can be assumed that the heyday in common stock are over, as long as current valuations remain at their elevated levels, and investor exuberance and hopeful optimism remain. In summation, I’d like to point out why investors and speculators have begun a gradual influx into commodities and precious metals in particular. In brief: They’re disappearing. This doesn’t mean that there will be none left soon, the same way that Peak Oil doesn’t mean that there’ll be no more oil. It simply means that these goods will no longer be available at these prices. This may sound reminiscent to anyone who experienced oil sky-rocket from $1.50/ barrel to over $40 in the late 70s. When the government capped the price level, supply and demand kicked in: Boom! No more gas! Extended lines of anxious cars waiting to be fueled but to no avail. There is no more gasoline left at the price it sells for. So take Adams’ post as you wish. But bear in mind that markets aren’t very intuitive. They tend to evaluate the here-and-now and the probable, and don’t have much patience for abstract and the possible. I only restate the famed Ben Graham’s empirical warning: “Be sure it’s yours before you go into it”. When Fundamentals clash with Technical Charts who to follow? What role does the Gold-Silver ratio play? What happens if Gold breaks above $1000? What does that mean for Silver? And what should the prudent investor do? We are approaching another critical point for the Precious Metals Trader. Notice how I say “trader” not “investor”. An investor doesn’t follow a position. He buys low – when demand is virtually non-existent, and sells high – when demand is irrationally justified. A trader on the other hand, may profit from medium term trends. What’s interesting is that more often than not, the investor wins. The reason for this is that generally markets follow trends. “Generally” implies most of the time, however when they do buck the trend they do so with “shock and awe”. Thus, we must approach this current scenario like an investor/long-term trader, and not like a little kid out to make a few dollars. Many recall the March 2008 highs. Note that Silver is still 20% below its 2008 high and 65% below its all-time. At the time, we did not sell and our reasoning was very clear and even in hindsight “justified”. “If the downside is significant we can always wait it out. Yet if prices pivot to the upside – and they have strong reason to do so – then there will be no way for the investor to re-enter the market”. Basically, you can’t jump onto a moving train. (Well, you could, but its not advised). One note on the matter: We don’t really “invest” in gold or silver. Gold is the ultimate currency and should be the default holding of any investor. Only an investment of significant upside and strictly limited downside should be wagered for its value. What we see now is similar to March 2008 in the sense that the Technicals look bleak, while the Fundamentals look increasingly resilient. Gold has just broken-out above $1000. This has stood as a significant resistance level and its abolition holds the keys necessary to bring thousands of traders and funds into the market again. These are mostly people who are waiting on the sidelines to see if the rally is sustainable. Another factor, that will definitely play a key role in the longer-term is the fact that Central Banks are now buying gold, not just selling it. This create a fascinating equilibrium in a once Dollar-dominated monetary system. The game may be up, this time for good. In addition, mining companies, such as Barrick, intend to de-hedge their positions in gold shorts – which were profitable when Gold was falling in the 80s and 90s but with rising prices has now turned against them. These two development are decade changing events and will alter the precious metals market for years to come. Finally, there is not a lot that the U.S. and the Dollar have to gain from expensive gold. It destroys their credibility and instills fear in the hearts of fiat-borrowers. This being the case, it would be of no surprise if governments make one last-standing effort to contain the gold price. Problem is, that while this was once going with the flow, its now battling an uphill trend – a strong one to say the least. When Fundamental and Technical indicators clash one must look at Sentiment. This is the one differentiating fact between 2008 and today. While March 2008 was met with great fear and anxiety regarding the future of the economy causing extreme bullishness in precious metals, September 2009 is met with confidence and calm, to the point of skepticism that Gold can old above $1000. The fact remains, that the precious metals are over-bought and reaching stress levels on the upside, but these factors are merely short term. The overall trend remains up and amidst the strongest buying month of the year, the top may not yet be upon us. Many market followers don’t reallize that silver is due to outperform simply due to its recent under-performance and under-valuation relative to gold. Geologists estimate that the in-ground Gold-Silver ratio stands at something between 8-20. This means that there is approximately 8-20 times more silver than gold. Yet above ground reserves have dwindled significantly in recent years as much of the metal has been used industrially or has gone into private hoards and won’t come out until prices increase over-and-above current estimates. The ratio, now at about 60 as of this writing, is still high relative to its suggested variant. This means that if one could expect a mean ratio of say 45, then with Gold hovering at $1000, Silver can still rally straight up to $22. If Gold rallied to $1650, as many expect within the next 12 months, we can expect to see Silver as high as $36. Again this is all if we revert to a mean ratio. But markets tend to over-extend their pre-defined impacts. Only time will tell. There is no question that the bull market is intact. As for corrections, “they’re as predictable as snow storms in winter”. Yet, when it comes to making sound financial decisions, the ones that don’t require much thinking are those that warrant action. The best action is often no action. I saw many people who call themselves “investors” pile out of Gold in 2008. Yet, they did so for the wrong reasons. No one saw the collapse of Lehman Brothers sweeping the market causing a massive full-scale sell-off affecting each and every asset class – precious metals included. On the flip side, had the market rallied on the COT short-squeeze, or had a major buyer stepped into the market, they’d probably still be locked out of the market forever. This time is no different. Maybe prices will decline, maybe they’ll rally… but its a bull market you know! I don’t like to post on markets that often, as I reserve this blog for more optimistic success-related material that focus more on proactive personal-development than on reacting to news and sentiment. Nevertheless, in the dog-eat-dog world we live in, I believe its highly important to have a sound knowledge of what the external forces that govern our lives entail. The one theme I keep noticing time after time in the selective articles I read (no major media, only hand-picked analysts who have proven themselves over time) is: Deflation or Inflation? Unfortunately, many many people are misinformed when it comes to money. It’s not that they lack an MBA or didn’t understand what they’ve been reading, rather that they misinterpret what seems to be a paradox, but goes hand in hand in reality. Deflation in Austrian terms is defined as an contraction in the loans of credit provided by a Government (pulling down assets). Inflation is its cousin-scenario where credit is expanded wildly (pushing up assets). The mistake many make is in confusing the value of the Dollar and the credit/money supply. One is demand, while the other is supply. They may work either together or against each other. I believe that what we are about to witness, on a grand scale, is a whiplash effect of contracting credit and strengthening currency on one hand, and a failing economy on the other. This will crush the average debt laden consumer as they battle with BOTH rising costs of interests and debt AND the rising costs of living due to monetary inflation. This is due to a currency who’s printing presses are under no control and MUST outrun any effects of deflation – from real estate, stocks and Dollar buying. The irony here is that the Fed will soon have to choose between letting the Dollar appreciate on its own or pushing it down further. Chances are that they will always choose a falling currency over a rising one due to: a) its bi-centennial policy of monetary easing, and b) the fact that while the US has experienced an intense deflationary scenario (1930-38), we have yet to experience a “hyper-inflationary” one – induced by over-supplying credit and money – at least since Continental scrip was flushed away following the Civil War. The savvy individual who will deflect such a predicament will be the low-debt high-asset frugal-consumer. This will eliminate high interest payments, appreciating assets and low expenses. Note that the above applies to both the lower and upper class, since interest on debt and assets effect both the same. Advice: Own Things! Real estate, commodities, physical gold and silver and strategic undervalued assets all comply. Areas of extreme caution: Stocks of companies that are either overvalued or financially unstable, toxic derivatives and high-interest debt. It should also be noted that the generational-trends (10-17 year) remain intact: a) generally rising interest rates b) falling P/E ratios in stocks, and c) a falling Dow/Gold ratio. This implies that Gold acts a safe haven regardless of whether the Dollar/Economy/Market does well since what we are expecting is not a monetary or nominal increase in price but an aggregate reversion to mean and true value. Over the long run (next 7-10 years) bonds/fixed-income will mostly outperform capital appreciation for stocks, and hard assets will continue to outperform fiscal contracts. The mindset will shift from growth to value and from wealth creation to wealth preservation. There will be those who do well, but only those who shy away from the general sentiment of things and focus on their own growth and productivity. “Fed Vice Chairman Donald Kohn said opening up some of the U.S. central bank’s most sensitive decisions to political scrutiny could result in higher long-term interest rates and hurt the United States’ credit rating” reports Reuters. Now what does that tell you? So we shouldn’t know what’s really going on because if we did, we would be shocked as to what’s going on. What is that for some reverse psychology? A friend of mine told me to buy silver the other night. Smiling, as I mentioned I’d been so early to the precious metals party that it was rather sad, I asked “So in a one-liner why should I own silver?” “Becasue it has value”. I replied, “Somewhat true, its more like – ‘Because nothing else offers the same value”. Silver analyst and investor Jason Hommel, has long been an advocate of silver and gold as money and free-markets. A couple weeks back he made a strong statement about creating a new precious metals exchange, as the current one is broken, due to the fact that silver can only be bought in limited amounts, and smaller denominations cannot be bought in larger quantities close to the spot price. I thought he was nuts. In an action which I believed was completely unrelated he made an auction for a batch of 2,500 silver ounces in 100 oz. bars. The total lot sold to one bidder at a few dollars above the spot price. A few days ago, he did it again, this time auctioning off 50,000 1-oz. silver Olympic Maples, in 1000-5000 ounce lots. The auction just closed at a bid floor price: $3.00 over spot = $15.98/oz. The highest bid was $16.23 – about the same price silver sells for on eBay. Could Hommel be structurally setting up a buyer-seller market for his exchange? It seems that all he now lacks is a matter of promotion. If he can sell 50,000 ounces in 3 days, opening almost 200,000 ounces worth of interest, I think the stage may be set for some COMEX-style competition. The following is a slightly more in depth analysis of the silver market for those who are edgy as to where we stand and why I remain as bullish than I ever have been. First let us backtrack exactly one year. It was August 2007. Gold and Silver had been in a serious consolidation since May 2006. Few investors were coming to market and analysts were getting tired of plugging the silver bull. Nevertheless, there was much speculation for months already that the next leg up in the long-term trend would begin around September/October. Just then, silver plummeted overnight from $13.50 to just under $12. Support then was at $10 hence many critics were calling for a retracement to that level. Then as now silver crashed through its 200 Day Moving Average, a well known support line. To believe that silver must fall to the lower support level ($14) simply because the higher one ($16) has not held is foolish and investors who wait for such an event can prove costly. $21 will be the new support fairly soon and anything below $18 will be considered cheap. Relative Strength Then as now, Silver is heavily oversold. (Silver’s RSI – Relative Strength Index – has not been this low over the past 12 months). Gold Silver Ratio It is interesting that during that August 2007 sell-off the Gold/Silver ratio jumped to 56 and held above 55 before for a few months before declining back to below 50. Remember that the Gold/Silver ratio is in a multi-year down-trend and these upward fluctuations are mere noise. July and early August are historically weak months while late August and September exceptionally strong months. The U.S. Dollar – The Dollar is now overbought and has not been so in ages. This may be the final blow-off of the Dollar rally and may now lead to its (ultimate?) downfall. Recent strength may surely be the intervention of the government trying to save the last currency since the Civil War. (For those who think the idea is tin-foil-hat-like read the next sentence). COMEX Short Position – I’m no conspiracy theorist but I do sympathise with “survivalism”, and that is what we may be witnessing. Anyone who knows how to read a COT report can see that there is serious trouble on the short-side of the silver market. With barely 70 million ounces of investment silver a year its hard to imagine where these short will get a hold of over 300 million ounces of silver. Pretty much anything you answer will prove bullish. Inflation – The PPI, Price Producers Index (that usually leads Consumer Prices) , has just come out with multi-decade high increases. The fact is that while retailers of all sorts and industries have attempted to hold off increasing prices, that range of revenue vs. profit has just about vanished and the choice is no longer theirs. Expect surging costs and with it surging precious metals prices. Sale! – Many, including India and China, were fretting over the fact that Gold was too high and pushing jewelry, a Eastern culture staple, to incredibly exuberant prices. As luck would have it they got what they had asked for (or manipulated?). Recession – Gold and Silver’s day in the sun will probably be when the recession begins and consumers begin to really feel the brunt of the economy and whiplash of falling wages, employment and earnings/share prices versus rising costs, prices and defaults. Dow/Gold Ratio – I put this one last since it should be so readily presumed and stands at the center of the long term downtrend in debt-laden share prices and uptrend in unfinanced asset prices. The trend remains intact at 13.59. Any surprises will likely be to the downside heading to a ratio of 7, or even 3, before this recession is over (has it started?). If you own anything that is long-term bullish in the face of credit crunches, paper deflation, asset inflation and fear (namely Gold, Silver, Yen, Franc, Short ETFs) you are probably destined to see some nice returns in your portfolio over the next few months. The key words are: Negative Financing. I am going to make a very bold statement. The source of my “madness” is 50% educated hypothesis and 50% gut instinct. You’ll understand why I call it madness in a moment. We all know that while stocks like to trend together, they don’t copy each other exactly. Each follows its own business plans, sales, customers and respective wacky technical charts. On the day of the Great Crash in 1929 there were a number of issues, however few, that actually went up in price. The general trend does not concern each stock. One of the prime reasons that the indexes have been falling is because in each financials weigh heavily. Nevertheless, it is important to realize that while some stocks set in a major bottom in 1982, others did so in 1978, many in 1975 and a few in 1971. Some swam against the tide altogether. I believe we are experiencing a major bottom in financial and homebuilding shares. This does not mean that they have bottomed yet but the formation is in the making and we are merely a sharp decline away. Nor does this mean that they have sound books or have written off all their losses – far from it. It does mean that the coming panic (double-bottom) will place banking and home-developing shares at prices and valuations that are simply the lowest they can possibly be discounted. I suspect this may happen in as soon as they next few weeks. Next, a bottom may set in for one sector that has dominated trading desks for years. Can you guess? Technology. Shares of Retailers, Financials, Homebuilders, Manufacturing, you-name-it have fallen over recent months. But some have held up reasonably well – until now. I think that during the major bottom that I expect sometime in late 2009 will offer bargains in some of the names that investors crazed over 10 years ago – Microsoft, Cisco, Apple, IBM. I think even Google will be selling itself unfavorably. The key is: Safety and Earnings. I am extremely cautious on the banks not only with concern to their own solvency but more so the solvency of the system and the Central Banks to prevent it. If the financial crisis over blows heavily to the point where balance sheets are no longer legible, I would retroactively suspend my case for the Financials. As for the Homebuilders, I think that very soon a great opportunity will be upon us and investors who look just a few months passed the carnage and bad earnings reports will see a solid balance sheet with a sound business model. As for everything else, make sure when the market swoon comes, not only have you read the financial reports, but you are ready with trucks rented. As for now, you want to be in Cash. But there’s a catch to cash – You don’t want to own currencies as they are just as subject to getting slammed as the banks that trade them. The best currency to hold is gold and silver. Sure the Franc, Aussie and Yen may rally too, but nothing will compare to the rush that will influence the greatest price increase (relative to time) in this Precious Metals Bull Market. There are few currencies that will be safe from inflation – and not the CPI – but rather real family-oriented price-increases. SaraLee has just reported that they will have to hike the price of meats up 20% by year end. Many companies will follow suit. The commodity that will most probably emulate that increase is Gold. Retail investors are well aware of its characteristics and it seems that, as predicted, small speculators are beginning to catch on as well. Gold seems to correlate very well with fear, to which inflation (read: falling dollar) will greatly contribute. At that time, whenever it is upon us I’d say: Sell Half your Gold, and Buy Some Bargains! And Buy with Care! This is going to be the best buying opportunity in 35 years! Regardless of whether the buyer was the seller (standard short covering scheme) or not, implies that there is strong buying at the 18.80 level. As it bounced off that level twice, once during NY trading and again during Hong Kong hours. Also, this price level has stood as a strong resistance level over the past few months and may now be acting as support. I deem the next 30 days as integral to my credence as an investment analyst… The fundamentals remain in check, and reasons for the rally only continue to build. It should also be considered that stocks by contrast have historically had some tough sailing through the fall months. Gold may also emerge triumphant if the cycle turns “deflationary” and gold holds its value while stocks take a hit, on what’s inversely often the weakest months for equities. Over the following months Gold rallied from $675 to over $1000, while Silver went parabola from it dip of $11.75 to $21.50 – 83%! The only resistance was both meager and short lived, around the $850 and $16 level, respectively. I am issuing a similar alert now. The second stage of the largest “Migration” stage of Gold has already begun. I believe there are 3 stages: a) Denial: The longest and most durable rally [2001-2006], b) Migration: the current stage, which I believe will take gold well over $2000 [2007-2009] and c) Euphoria: When gold will probably double in a matter of months sometime in the next few years [2014?]. As a breakout occurs, institutions and growth investors will run with it, extending the sector to its largest gains, probably well past $1000. This will be followed by Euphoria. This is an interim-Euphoric stage when Gold may reach as high as $5,000. This will not be the ultimate Panic buying that could take Gold into 5 digits. This may all seem abstract and far fetched now but a) we know how quickly things change in today’s economy (think Freddie Mac) and b) how historically such a scenario has plenty of room for materializing (think stocks in 1982). If you do not yet own any gold or silver I suggest you go out and buy some. I will not cheerlead the precious metals ever again. This is it! I consider myself a value investor and I see value in the PMs, but only underneath a certain level. You must buy in before the rally in order to remain solvent. Watch as all the Wall Street prior-deniers-and skeptics run into the precious metals along with the institutions and momentum funds. As we said a few months ago: Buy until your hands bleed! It’s time to reflect on the predicament of the markets. We ran two editorials in late December entitled “Are You Ready for The “Blue” Year?” and “Some Thoughts on the Markets“. We defined a general outlook for the economy for the year of 2008. We are constantly reminded that “The more things change, the more they stay the same”, it is far easier to predict what we may see in the future. With that I would like to offer clarity to the confused investor. The ratio currently stands at 15, with a low of 12.5. Our immediate term goal is 7 with an eventual decline to 3 before the economy pulls itself out of recession. During the brutal 1973 downturn the Dow Jones Industrial Average fell from 1050 to 570, a decline of 45%! Yet this wrecking fall was cushioned by a counter-rally from 800 to 1000, within 5% of its all-time high. Interestingly gold, during this same period, rose throughout the downturn, from 70 to 195 over the 2 years period. Over 178%! During the brutal 2007 downturn the Dow Jones Industrial Average fell from 14,000 to 7600, a decline of 45%! Yet this wrecking fall was cushioned by a counter-rally from 10,650 to 13,300, within 5% of its all-time high. Interestingly gold, during this same period, rose throughout the downturn, from 700 to 1950 over the 2 years period. Over 178%! Obviously, history will not repeat itself, but it sure as hell does rhyme. I believe that the DJIA will push above 13,000 temporarily and then resume its decline to 7600 vicinity. While gold will trend ultimately to the $2000 level by late 2009. [One may ask based on these calculations, that Dow 7600 / Gold 2000 = 3.8, well above our factor of 3. Nevertheless, it is most probable that gold won’t peak at the exact time that the Dow bottoms]. Thus the prudent investor will seek refuge in some words from our December article. “The truth is, however inverted it may seem, bad is good, bear is better than bull, bust beats boom”. This simply means the investor can do phenomenally well by simply paying little attention to the media and markets and instead focus on the short yet profitable buying opportunities that present themselves. With that we move on to some predictions we made back in December of 2007, results since then and what we can expect going into 2009. This sums up what we’ve been seeing over the last few months, and it can be expected to continue into 2009. The media will keep calling bottoms while credit and leveraged conditions deteriorate. This in my eyes was a no-brainer. Tension was all too high and much of the markets movements were based on speculation rather than solid fundamentals. This may have been too short an outlook, however it is expected before markets bottom. It’s not if, but when. This has been seen slightly and is significantly increasing. Foreclosures have doubled year-to-date and increasing amounts of home-owners are just walking away. So far GDP has been positive so there is no “official” recession. But ‘flation indeed! Stocks have fallen and since found some relief, while commodities have boomed and since corrected. Yet the investor should not be fooled by this. With rates lowered from 6.25% to 2%, all Fed Discount Windows were opened and inflows have been supplied to the market, not to mention the bailing out of Bear Sterns. This was mostly due to a declining Dollar. The Dollar may have now found a bottom and this will be sustained when the Fed turns to raising short term rates. Yet if markets follow any similarity to the 1970s, this rally will be short-lived, with the Dollar testing new lows come 2010. Any economist would agree that the potential damage has been avoided. Yet we are faced with the worst housing recession since the Great Depression and the results will be felt. Low interest rates cannot makeup for decades of careless credit policy. According to the Schiller Index prices are down 12% in many U.S. cities. “Oil at $150? …I think oil has more to run… many others say $150 or even $200 before the year is out… Expect higher prices at the pump”. Right on the money! Oil has risen as high as $120 recently. (with gas prices expected to possibly reach $8 a gallon before the year is out). This may be due to the fact that many airline fuel storages, were running low. Acting as a catalyst this replenishing pushed up prices. This can be seen with regard to possible production decreases in Nigeria, and with regard to metals production from South Africa. “It’s all in the earnings… there will be surprises… there will be opportunities but I doubt there will be any significant bottoms at least until the recession officially begins”. This call is still up in the air. Average bottoms have been presented with indexes selling below book value. They currently sell for 1.3x book. If I say “Rice, Wheat, Soybeans”, need I say more? We have since been offered this buying opportunity. China has corrected together with the world markets, but has since regained much losses. Whether or not we conform to the Evolutionary theories of Charles Darwin, there is most certainly an element of truth behind the prospect that there is indeed a “survival of the fittest”. He who flaunts his wealth, is released from it. He who mistreats his body, withers. He who disrespects other men, is himself reputed. We see this in our world from every perspective possible. China remains to its thousands year old traditions, as it is, by a philosophy inherently averse to war. Presidents, world leaders, CEOs and Activists usually maintain the stamina throughout even the most challenging times since it was that inbred zeal that got them there in the first place. Many of the happenstances of our history are due not to mere chance but to the wiring of our very fiber. Hitler failed not because the West defeated him in military strategy or intelligence, but because all hope was forfeited from the beginning; he couldn’t control his own faculties, how would he a nation, how would he the world? In the makeup of Capitalism as we know it, the earliest laissez-faire economists realized that monies are safest in the private hands, and handiest in the possession of those who understand its value most. Wal-Mart together with its proprietors, the Waltons, is one of the wealthiest economies on the planet, yet at the same time it ranks as the second largest charitable institution on the planet. What has all this to do with practice investment application? Yesterday I was chatting with a friend of mine. She mentioned how she had recently pawned in her gold. “Why?” I asked. She said she wasn’t exactly sure, only that gold had run up quite some bit over the last few years and she decided to profit from it. “Do you reckon it could go any higher?” I asked with a smirk. “It’s already fallen!” she replied. We may call the above example the Small Money. These are the people, most of society actually, who just go about their daily business and they act, well, pretty much because they are not quite sure. Then there is what we may call the Smart Money (this does not necessarily Big Money). For examples of such we must look to large institutions that carry a sound sense of financial responsibility; Governments that provide the world with resources and labor, Funds that manage the wealth of many of the affluent with full regard to risk and reward (major ETFs and Mutual Funds may be included in this group), as well as value-conscious long-term investors. While the Small Money (and so they shall remain) are selling – Real Estate and hard assets – the Smart Money is buying. We see this day after day as the mortgage predicament continues to unravel, but nowhere in economics does it have any mention of leaving bargains on the table. Where I live there was a “W 55” building that was set to be completed. Unfortunately, the building went under as property values and lending fell. At auction each penthouse sold for $150,000 down from the 300s. 50 cents on the dollar! So what are the long-term investors doing now? They are Buying. Many now see the perfect opportunity to get in on an ongoing commodity boom – read ‘Boom’ not ‘Bubble’. Gold and silver are down 12% and 20% off their highs, respectively. Where many see ‘correction’ others see ‘opportunity’. Go out to any coin dealer and try to buy more than 50 ounces of silver. Firstly, you moat probably won’t find it. If you do it will probably be in small denominations with pictures of Brett Farve or the Twin Towers on them. The piles of metal from the mints seems rather depleted. Secondly, you’ll face a hefty premium. It’s almost as if the real over-the-counter market has become completely estranged towards the paper market and fails to believe it. Go on eBay and try to buy silver. You’ll face premiums (outright or in the form of shipping) of $2-$10 per ounce! In a sense, the actual silver market hasn’t fallen much at all. Many pundits of the industry stated that as prices rise, supply of scrap silver will flood the market. One thing for sure, it ain’t floodin’ it. If it is coming online, it’s coming too slow relative to demand. Regardless, it seems that higher prices are secured sooner than later. Did someone say Rice? Let’s not even go there. What about the big funds? Buying. The iShares Silver Trust (SLV) has actually been accumulating physical silver as prices have fallen. This is probably in line with relative demand by the funds investors (I’m one myself). Big Governments? Also Buying. It is said that the Central Bank of Russia has been adding to its capital gold reserves and for all we know China and others may be following suit. “After all is said and done, more is said than done” as Aesop said and the markets seem to reflect that. Those who have bought are destined to be wealthy and those who have sold are destined to buy again. Oh, and the essential difference between a ‘Boom’ and a ‘Bubble’ is that a boom is when everyone is trying to buy something which no one else owns but everyone else wants, while a bubble is when everyone wants to eventually sell that which everyone has and practically nobody needs. I think many are trying to pinpoint exactly what the decline in the precious metals was a direct result of. This weekend, the Silver COT’s came out, showing that the spec longs sold 1/5th of their positions, and Commercial shorts covered less than 1/10th of their positions, causing a major price dip from $21/oz. We may see yet more selling, but bear in mind that this is all effects of a cat and mouse game by the speculators and the commercials, with the trend and the investor uncompromised. On the contrary this offers yet another ideal entry point into a large ongoing rally. I want to just reiterate that I am a full-fledged buyer in this market. Regardless of whether or not we actually have a silver shortage (some say the shortage is only in 100 oz. bars), or whether the Dow closes higher or lower, or even if the U.S. Dollar rallies well into the future. I am a buyer because I believe that the current market winds are blowing in the direction of overall deflation (discounting) of fiscal and paper assets, favoring materials and hard assets. Unleveraged, unfinanced real assets. The only reason one would need to worry would be due to extreme leverage. Example: If you are leveraged 4:1 and silver takes a 25% hit (such as the one over the last few weeks) the trader would be completely wiped out. Don’t turn a perfectly solid investment opportunity into a crappy speculative trade! If you do trade I suggest (a) watching your downside with stops if necessary and (b) building your gamma significantly as you leverage. That way if volatility comes your way your floor is secured. Again many fundamentalists point to a shortage due to lack of silver bars at coin dealers the nation over. Critics say that while this may be the case there are many 1000 oz and kilo bars available on the market. My take is two-fold. Firstly, a shortage means simply a under supply relative to demand. There is by far a shortage of 100 oz. silver bars not only in the U.S. but also abroad. This being the case even if there are larger bars they may not be affordable to the small investor (1000 oz = $18-20,000). Thus these bars would have to melted down and reformed into smaller denominations – all costs incurred – thus raising their premium. Secondly, even if the 1000 oz. bars are indeed available in plenty – they still have to be bought. If there is any rationale behind a shortage in metal it is that the small dealers will run out and have to buy from the larger mints and dealers (some of which are also behind on orders). As these larger bars are melted down and hoarded heavily by investors and small dealers the supply of such bars begins to deplete as well. This is all basic supply and demand. Will silver decline heavily and cause owners to sell lower? I see two reasons why not. 1. Investor seem to be (a) long-term minded (b) unleveraged. Thus they will embrace lower prices and a buying opportunity, especially that they now know how scarce smaller bars can get during an ongoing price rally. 2. Any selling by the larger speculators will be bought by many who have waited for this decline. It seems many are simply attempting to call the bottom. Moreover any downside should be good entry for the commercials to cover shorts as they did during the recent $4 decline. Most importantly, the long term trend remains intact even if silver is to fall as low as $15. This is also in the face of a higher gold/silver ratio (48 to 53). This is bullish for silver over gold even if they are to both decline. The Dow/Gold ratio seems to be intact at a current 13.3, with expected further downside until 7. “I recommend… buy silver coins, under $25 an ounce. Silver is cheap and easy to acquire and manage, while real estate and businesses are both management-intensive; silver requires no management, expect for a safe storage place. In addition, the iShares silver ETF (SLV) is convenient. I’m a Buyer and it’s my market! I visited a few coin dealers today. I bought about 25 oz. from one (2-10 oz. bars the rest in small rounds) at a good premium (20/oz.) and then another 25 ounces (all in small rounds) from another (at around 18.25/oz. Both gave me the same market explanation that those like Jason Hommel of the SilverStockReport.com has been advocating – that is a broad supply glut relative to demand in the silver market. But I began to think, maybe the dealers themselves are the ones who are hoarding all those 100+ oz/kilo bars warranting much higher prices before parting with their metal. These coin dealers are the last thing from stupid. They see the market and when they see hundreds of visitors daily seeking silver, and many more phone calls frantic to find even one 100 ounce bar, they get the feeling that the silver owner has all the advantage for the time being. Now the only thing pretty much that is left in the stores are the small rounds (1 ounce bullion) and coins (many which start at 50 and go straight through 5000). This is a market where the small investor has the advantage. Remember the fund manager who can’t even find silver to allocate 4% of his portfolio? I say we – the small investors – clean these dealers out! Buy out every bar in sight – a premiums of even $3-5 above spot. With no physical metal in the market all that financial paper will hit the fan. This is the epitome of a buying opportunity – even if prices go yet lower! I thought it would be interesting to note that while Silver on the Open Market (Kitco, etc.) is selling for less than $18/oz. sellers on eBay seem to be reluctant to part with any silver for less than $21-23 (more if you include shipping)! You get our problem? Forget about supply and demand… One demand is greater than the whole supply! !